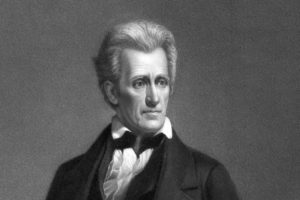 March 17, 1819, The Philadelphia Friendly Sons of St. Patrick induct Major General Andrew Jackson into the society’s membership. March 17, 1919, The Philadelphia Friendly Sons of St. Patrick held their Gala Anniversary Dinner naming it the “Victory Dinner” to celebrate the happy outcome reached on November 11, 1918. Throughout the spring and summer of 1918, the American people anxiously watched developments on Europe’s battlefields. Tragedy entered many homes as the casualty lists appeared. American troops had for some time been pouring into France and during the late spring had cooperated in halting the German offensive at the second battle of the Marne. When the Allies launched their counter offensive in June, over one million American soldiers spearheaded a drive which broke the Hindenburg line. With this allied victory Germany sued for peace and an armistice was agreed to and signed on November 11, 1918. Divine blessing was invoked by society member Most Rev. 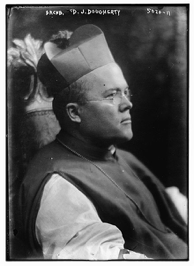 Dennis J. Dougherty, D.D., Archbishop of Philadelphia. Guest speaker Colonel Hiram J. Bearss of the U.S. Marine Corps speaking extemporaneously gave a few anecdotes, humorous and serious, of the war. 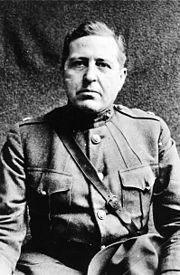 Colonel Bearss received the Medal of Honor for heroism during the Philippine-American War and the Distinguished Service Cross for his valor in World War I. 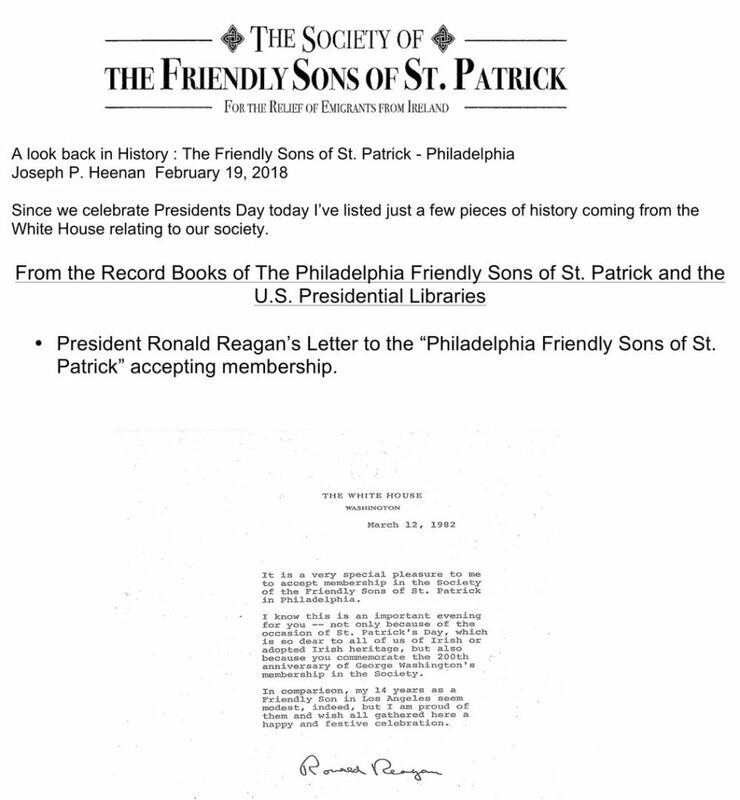 On March 18th, 1935, the Philadelphia Friendly Sons of Saint Patrick held their 164th Annual Banquet. Their speaker was Olympic Champion John B. Kelly. 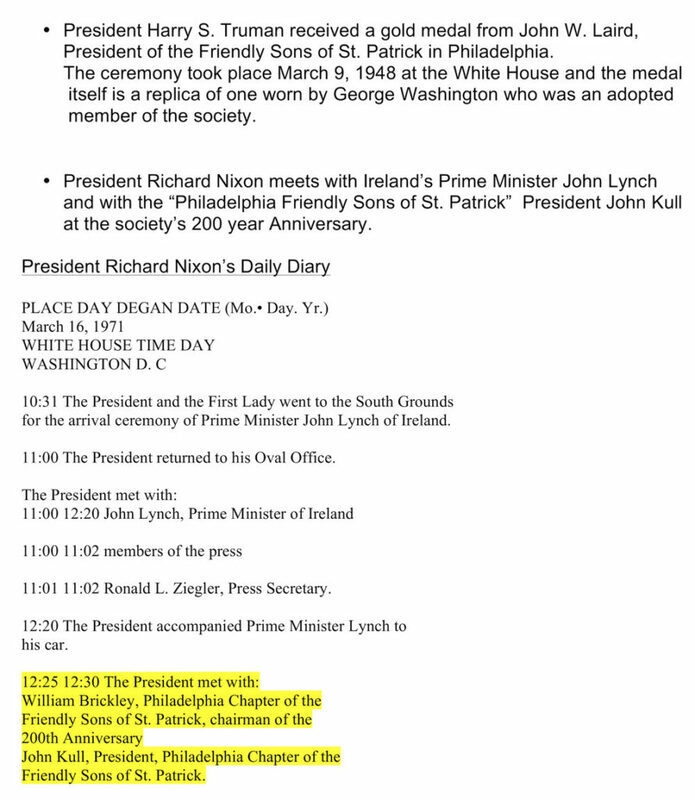 The transcript of his speech was recently discovered in the historical records of the Friendly Sons of St. Patrick, and has been digitized at Villanova University’s Falvey Library Special Collections. Until recently, whenever any one in Philadelphia mentioned the name Kelly, he naturally thought of our distinguished District Attorney, Charlie Kelley, or, perhaps, of Councilman Edward Kelly, or one of the other nine Kellys who are members of this Society. Tonight we are thinking in terms of John B. Kelly. When I first met him fifteen years ago, he was the world’s champion oarsman. At that time the political party that he now adorns was locally a mere shell. 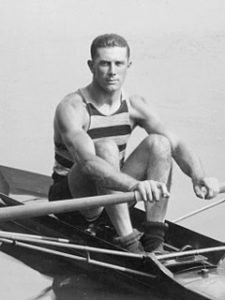 Jack Kelly was then a shell rower. But in recent years that shell has developed, first, into a light cruiser and now, into a battleship. And instead of being champion sculler Kelly, we, as we view him on the deck of the young Democratic battleship, might today call him Admiral Kelly. I have great pleasure in introducing to you another outstanding Kelly, John B. Kelly, who will respond to the toast “Philadelphia” (applause). Philadelphia Friendly Sons of St. Patrick member Christopher Fallon, who constructed an impressive octagonal mansion on the site in 1850, originally owned the tract of land upon which Monsignor Bonner and Archbishop Prendergast Catholic High Schools were built. The house was named “Runnymede” after the Fallon family seat in Roscommon County in Ireland. In 1882, Philadelphia Friendly Sons of St. Patrick member Anthony J. Drexel purchased the building. The mansion stood on what was at that time called the hill of Drexel, and consequently the surrounding area became known as Drexel Hill.